From Haiger to the world: Rittal systems now reach the customer even faster | Rittal - The System. 2016-09-08. 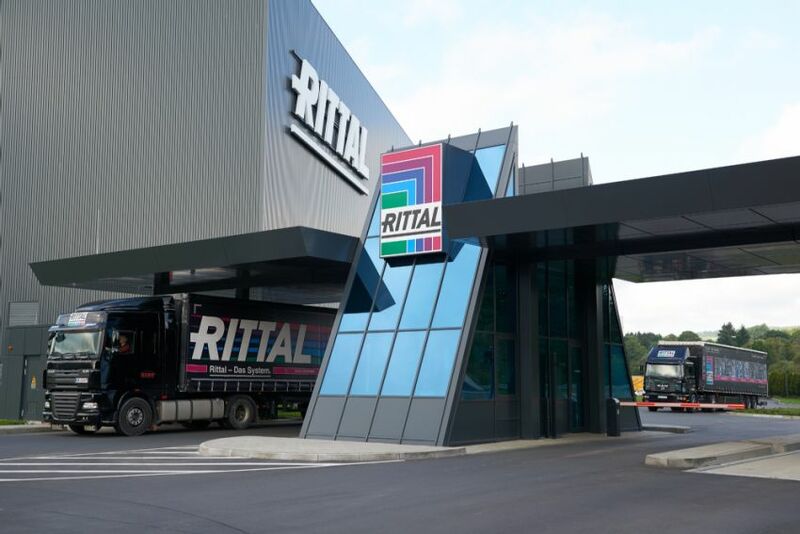 It is an investment worth €40 million, has 24 kilometres of shelves, and ensures a 48-hour or even 24-hour delivery service: Rittal products are sent all over the world from its new Global Distribution Center (GDC) at Haiger. Thanks to its state-of-the-art logistics centre, Rittal, the provider for enclosure and housing technology has halved its products’ throughput time, so keeping to its promise to deliver “faster, better, everywhere”. Now the GDC has been officially opened. What Rittal’s new Global Distribution Center is all about can be summed up in one word: speed. In the new logistics centre in Haiger, which has an area of more than 4,000 square metres and is up to 32 metres high, Rittal products are transported fully automatically to their place and then picked up again at 14 kilometres per hour – as fast as a forklift truck. A high-performance computer controls the incoming orders around the clock, stores details of incoming and outgoing products, and works out which pallet is to be loaded onto which truck. Up to 80 trucks a day filled with large and small enclosures, cooling units and accessories leave the GDC every day to be sent to customers worldwide. “Our logistics would now be unthinkable without the GDC in Haiger”, says Dr. Friedhelm Loh, owner and CEO of the Friedhelm Loh Group, to which Rittal belongs. Speed is the essence at the new Logistics Center, which has now been ceremonially opened: “With an investment of over €40 million, Rittal has created state-of-the-art logistics infrastructures. We have increased the quantity of products dispatched from the GDC by 50 percent and halved the throughput time, while also increasing the delivery quality by more than half. Rittal has underpinned its claim to be a top-quality provider of products by having a first-class logistics system in place ”, added Andreas Nögel,Vice President Global Logistic at Rittal. The Global Distribution Center has a fully automated high-bay warehouse with 21,500 pallet positions for large enclosures, as well as an automatic small parts warehouse with 25,000 container positions. Thanks to the increased availability of its standard products and the faster delivery, Rittal continues to aim for a sustainable increase in customer satisfaction. “Immediate availability is a major selling point for our customers”, Mr. Nögel pointed out. This was precisely the idea of Rittal founder Rudolf Loh 55 years ago – to mass-produce the enclosures that would house the electrical control systems required for machinery, and to deliver them ex-stock straight away. At the time, the founders were not thinking about international customers, as the company was first only expanding within Germany. Rittal continued steadily gaining enthusiastic customers who no longer needed to have their enclosures expensive produced in metal workshops in a complicated way. 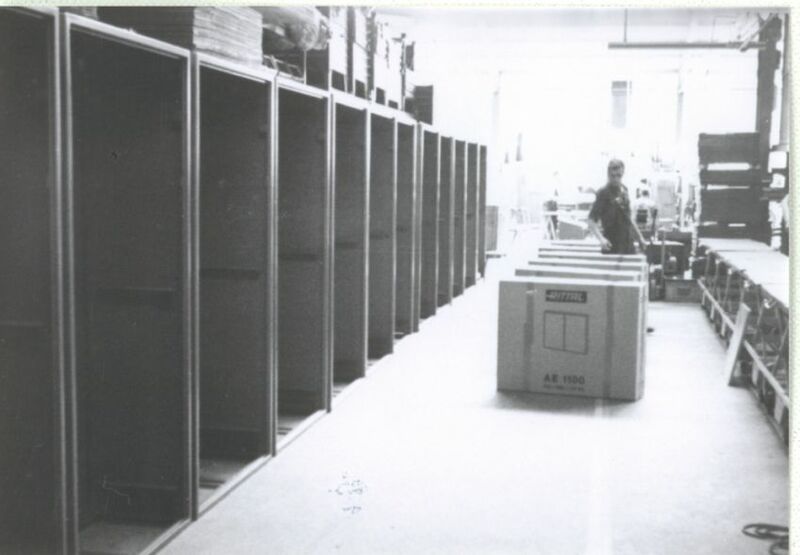 From 1971, when its first subsidiary opened (in Sweden), Rittal was able to reach international customers. Today, Rittal over 90 percent of its products are supplied to international industries and customers. Car manufacturers, machine and plant constructors, IT and telecommunications providers and the food industry all rely on Rittal solutions. In an age of global competition, a 24-hour or 48-hours delivery service more relevant than ever before.